Remote access: How do we reach men in the farthest regions of the UK? Blog post by Nick Wright. At Prostate Cancer UK we work to meet men’s needs, wherever they are. In a recent blog I celebrated a year of local services across the UK. And now when I say 'across the UK' I really mean it. We're getting boots on the ground in the remotest regions. We have a ManVan reaching men in rural Wales and we've been getting out and about in The Outer Hebdrides. For anyone who's wondering where that is, the Outer Hebrides (also called the Western Isles) are a collection of islands to the west of Scotland spanning over 130 miles from north to south. Around 27,000 people live across the 15 habited islands (there’s over 50 more which aren’t inhabited) and the islands have the highest incidence rate of prostate cancer in Scotland (joint with Shetland and followed by Lothian and the Scottish borders). So it's a really important place for us to spread the word about the risk of prostate cancer. Ann Ferguson, our Associate Director of Community Services, spent a week there to see how we’re reaching men in one of the farthest corners of the UK. She told me about her visit. 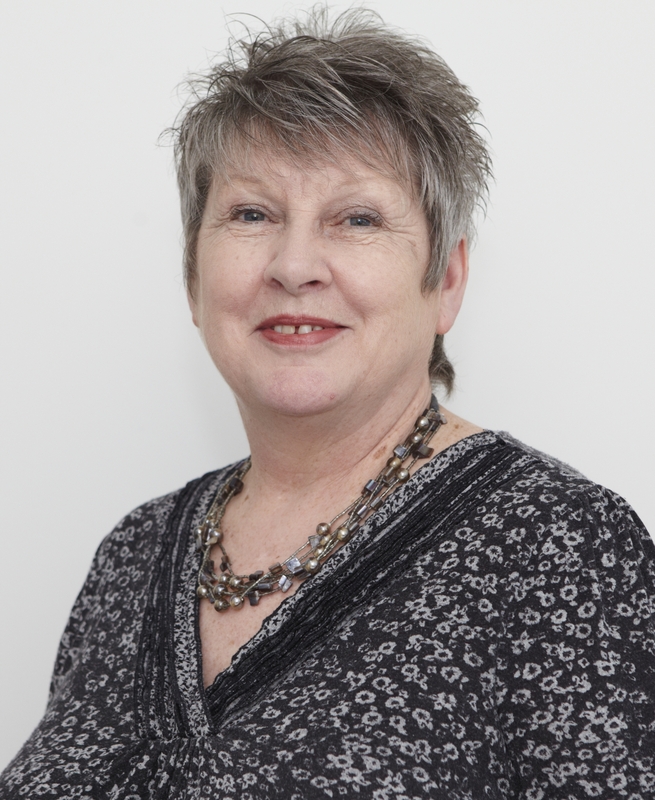 Ann: “It all started with one of our brilliant speaker volunteers, Duncan McGregor, who has advanced prostate cancer. Duncan lives in Inverness and delivers talks in the community. He was invited to give a talk in Stornaway (the largest town in the Western Isles), which went down so well he was asked to give more talks on the islands of North and South Uist, Benbecula, Barra and Eriskay. "I became involved when this grew into a week long prostate cancer event organised by Kenna MacInnes, from the Western Isles Health Board and Mairi Campbell, chairman of a cancer support group. They arranged a seminar for the public and health professionals, and a series of public meetings. Attendance went up each day as word spread around the islands. Men were most concerned about their risk of developing prostate cancer and the symptoms to look out for. They were shocked to learn that every year almost as many men are diagnosed with prostate cancer as women are with breast cancer and that a family history of prostate cancer increases a man’s risk. "While there I also spoke to GPs, nurses, the Director of Public Health, chairman of the Western Isles men’s cancer support group, local politicians and the Barra volunteer centre to find out more about the challenges they face. And we uncovered many opportunities to support them and help more men with our services. "One of my meetings with a GP prompted him to look at his caseload of patients where he discovered a surprising increase in the number of prostate cancer patients compared with past years. A big concern for some GPs is how to support men with an elevated PSA when they don’t meet the criteria for referral to a specialist. They were very pleased to hear about our Specialist Nurses and information resources and to realise that we can support them in providing appropriate care for men with prostate cancer. The community nurses were espcially interested in increasing their knowledge of prostate cancer through our education programme. "We were made to feel very welcome on the islands and there was a genuine appreciation that we had taken the time to visit. But it was a lesson in how much we take for granted in day to day life. Travelling to and from the mainland could take anywhere between three hours (from North Uist from Skye) up to a six hour ferry trip from Barra to the mainland. 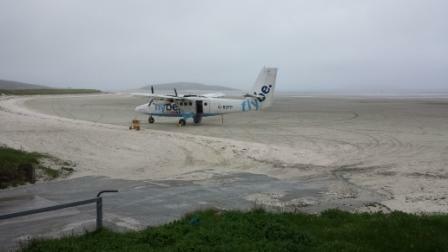 Flying is much quicker but only an option for people who are up for landing on the beach in Barra where flight times vary with the tide! "Driving around is not for the fainthearted as navigating the single track roads with numerous passing places means eyes on the road and not on the stunning scenery. Communications are somewhat hampered too. Standing on the roadside with my arm in the air to send an email via Blackberry was a certainly a different approach but it worked! "There's a language barrier too. Even before I stepped off the ferry so many of the conversations I heard were in Gaelic. A large percentage of the islands' population speak Gaelic. Signs across the islands are in Gaelic first and English second and many of the older population revert to Gaelic as their main or only language. "And the population is very sparse. Many of the residents live in the crofts dotted across the landscape so access to services they have to travel either by car, bicycle, on foot or using the infrequent public transport. The doctors' surgery on Benbecula, for example, is on a road with nothing else around - it's the only building. But this is what so many men rely on. Remoteness from health professionals is a challenge and having to travel to the mainland for treatment can be quite daunting for some men, particularly if that means being away from family and friends for several weeks. "The trip was a fantastic experience and we met many lovely people. But it’s made me realise how important it is to have services which cater for everyone. We're now looking to see how we can work with the people we met. We’ve invited some to come to our Glasgow office, meet the team and look at ways we can support them and support men on the islands. We also want to recruit local volunteers so we have a permanent presence on the islands to continue to raise awareness and show men that Prostate Cancer UK is there for men in the Outer Hebrides too."